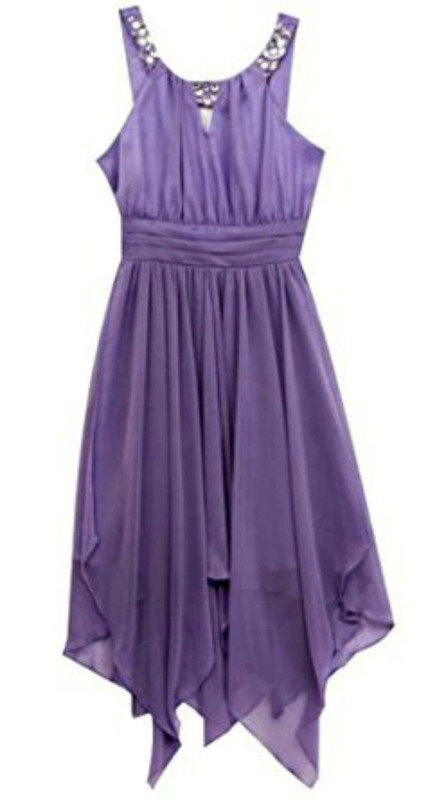 Beautiful girls lilac party dress with shirred detail and organza handkerchief hem. Pretty silver sparkle detail at neck. Back zip.